I can be active for longer. I don’t have depression anymore. I can navigate around obstacles with more ease. I have less ataxia in my hands and arms. I can hear my daughter singing in her room. She haven’t done that in many years. I don’t have rush incontinence anymore. She can hold the glass and drink from it without support. She was to shaky before. He has been able to maintain his employment where he has to walk a fair amount of the day. He can now pick up a pencil from the table. Heart markers have improved significally. They used to be sky high, now, one is normal, the other one almost normal. No more chestpain, nor hospitalization. I don’t have fatigue anymore. She went from constantly being too exhausted to go to school prior to Actimmune to missing almost no school after she was on this. Her handwriting has improved a lot. Less difficulty opening or closing with the key the door of our house. She can now cut the cake and pour water into the glass with no difficulty. Her icecold feet got warmer and normal color. 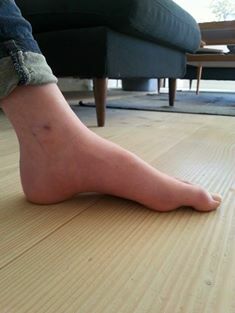 She was sceduled for an operation to lenghten the tendons under her feet to reduce the pes cavus, but after using Imukin for 7-8 months the spasticity almost ceased completely. I haven’t had any reflux since I started the treatment. Her hammertoes disappeared. Her toes and feet are now almost normal. Heart hypertrophy without progress since she is on this treatment. Scoliosis has improvement in curve. My breathing got much better. Before the treatment it was really heavy. Like I had to make every breath manually. My grasping and sensibility are increased. My swallow and eating also improved. It is easier to button my shirt. I am still clumsy but it goes easier and faster. Touching her feet before triggered an overreaction and spasticity. To cut her nails was a disaster. The overreaction almost disappeared. You can touch the feet and cut the nails very much easier. This makes an excellent point. If any drug in trial is deemed to have ‘failed’, on what measure? G. I’m delighted the IFG had such wonderful effects for you. Do you know if it delivered similar effects for others?